..Yup they are killin’ it. The Black Box in Denver, Colorado is continually hosting the events that will rock your bass loving socks down into the rabbit hole. We may be a week into the month of May, but they already had, Truth, Khiva, a 2-night Cosmic Synergy takeover for their 3 year anniversary, and much more dankery! 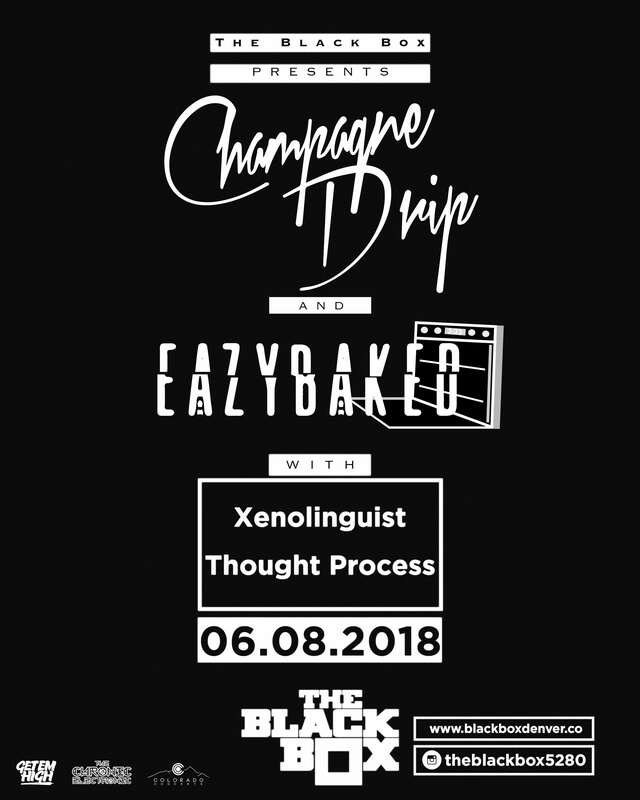 What else they have planned for the rest of the month is what makes the Black Box the place to be for your dose of epic local electronic music beats! 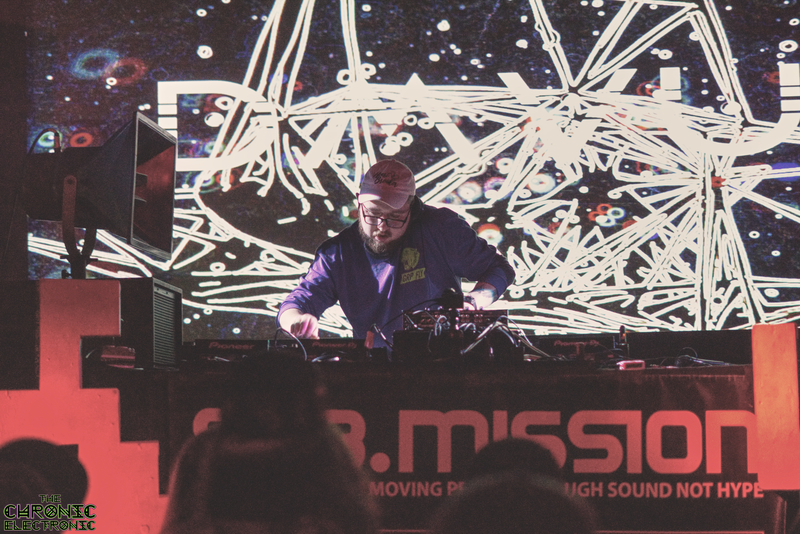 They have a couple takeovers in the lounge and main room from local productions such as Angry Neighbor, Q-Vents, MorFlo Records, and of course Sub.mission. Comin’ along with that will be artists such as Goth-Trad, Stylust Beats, Planet of the Drums, Dalek One, Biome, and so many more. You can check out the absolutely packed calendar below and see for yourself why The Black Box got voted ‘Best Bookings’ by Electronic Colorado! Keep on scrolling down if you are looking for a wonky show to go to at the Black Box on June 8th. They introduced BlackBox.TV! What is this you may ask? It is their collection of live streams from events where they had LostInSound.live do their live streaming of the shows. It is a new feature to the site and is growing but has the capability of live streaming those events that you tried to go to but couldn’t because of work or whatever happened in your life at the time. Make sure to check back on The Black Box or LostinSound night of the show to get watch some live streaming! Looking for something that is going to be straight up wonky and full of disgusting beats. 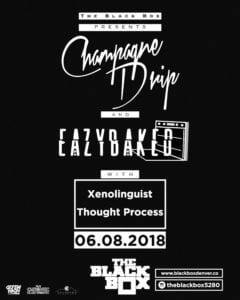 Well then, do not miss out on this massive show at the Black Box, June 8th with Champagne Drip, Eazybaked, and two locals absolutely F*cking Sh*t up, Xenolinguist and Thought Process!! You can read more about this show in the link below where you can find tickets, artist socials, and even a mini playlist of the artists going… so you know what you are getting yourself into.